I’m going through my inbox this morning and deleting spam after spam. Then going through the junk mail and deleting more. It has never been this bad. 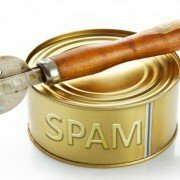 I have been getting spam now for years – in the last two years it has got worse. There seems to be no end to it. Years ago it was spammers selling software etc now it has turned into Forex and and other related services, not sure which one is worse. I think it may be time to change my email address again and move back to Pegasus Mail which does a great job handling this. There must be an effective method somehow of dealing with these guys. I think I may from now on keep a couple of private email addresses for work, family and friends and open up a few dummy accounts for everyhting else.